Inspired by Asura the Demigod from Chinese and Hindu Mythology. The design exploits the Asura Domain of the Desire Realm which is the origin of the war between the Gods and the Asura's according to the myth. Each deck is individually wrapped in letter pressed kraft paper, with the Mystery Box question mark emblem printed on the front. Art direction by J.J. Abrams and Jonathan Bayme. This is the second edition of Pr1me Series001. In this edition we have improved many things, like the quality of the tuck box, the quality of print, and we have added 2 bonus cards. This deck has full green faces with green backs. This deck has white and red pips. 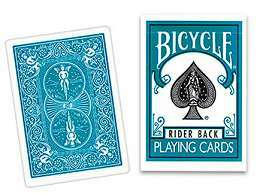 Special gaff cards include a blank face card, a double blank faced card, and a double backed card as well as a green joker card. 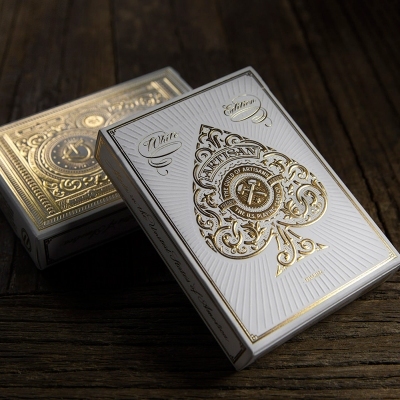 Quality bee deck was printed in USPCC, casino bee stock, Q1 Quality, Snow Tuck case paper, with high quality production.The deck was recommended by the famous Canadian LeeAsher . Ignite Playing Cards captures golden flames, glowing embers and the smouldering black char of a scorching inferno. Court cards colored in the orange glow of a dying hearth. With an all new blazing ace of spades on the front of the box, there's no mistaking the theme of this deck. 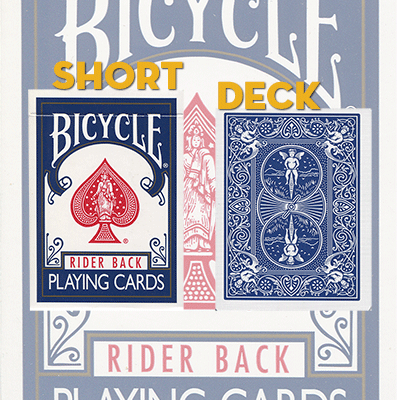 Aleix Gordo Hostau, a renowned muralist and street artist out of Barcelona, Spain, designed these playing cards for the Bicycle� Brand. His graffiti and street art are well-known amongst followers of the urban art scene, and his bubblegum monsters are some of his most popular designs. See them in action on every card in this deck. 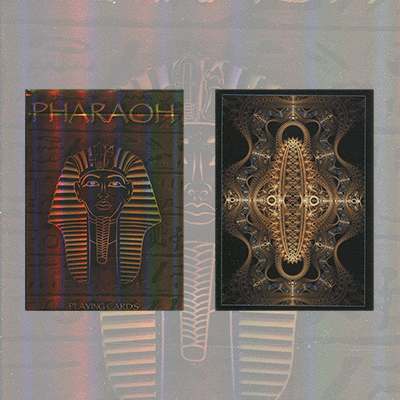 A New Playing Card Deck Designed By Tatiana Karaman Inspired By Ancient Egypt. 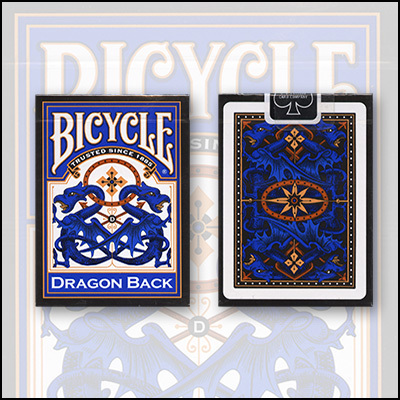 Printed by the United States Playing Card Company on their classic Linen finish. Limited Edition Foil Case. Only 2500 will be printed! 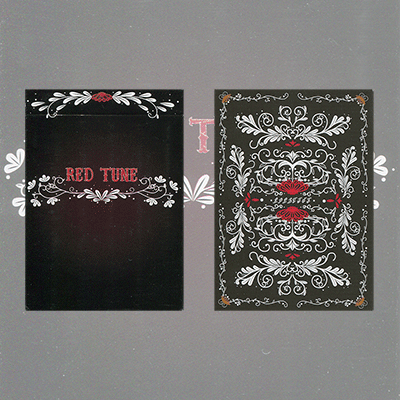 The Red Tune Deck was produced in 2011, which won many good praises. The design is by Aloy Magic. Redesigned Ace, Joker, Back and Tuck box. Red tune deck printed in 2012 . 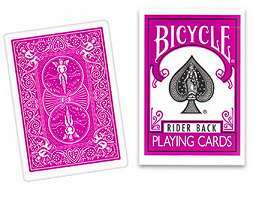 This deck is a regular Bicycle Rider back deck. All the cards in this deck have been shortened a fraction of an inch. 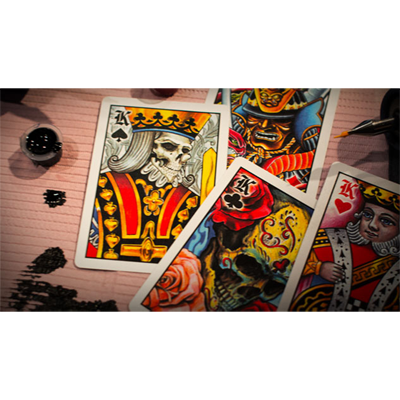 Similar to a Svengali deck. It looks like a dream and handles like a dream. Smooth, icy white. 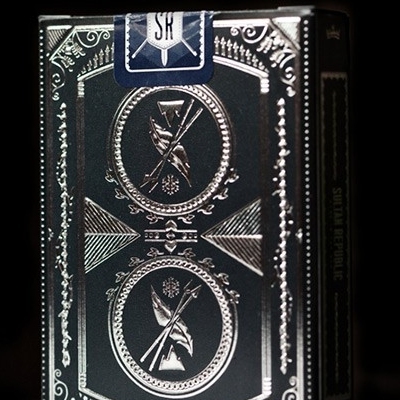 The deck features colorless court cards and "stripped down" Artifice Ace of Spades. 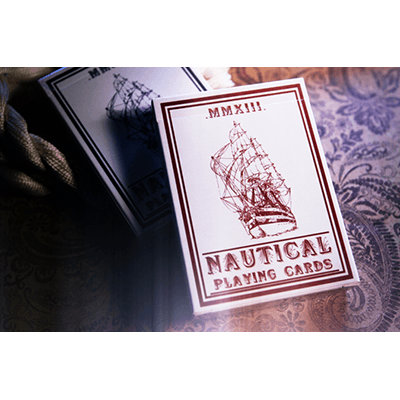 The Nautical Deck is the brainchild of artist Edo Huang, and is reminiscent of a classic bordered Bee design. Everything about the deck is inspired by the sea. From the rope-like pattern & life preservers integrated into the back design, to the rope border on the court cards, and the impressive ship joker. Each card was custom designed, and then designed again, to ensure that it brought forth our vision. 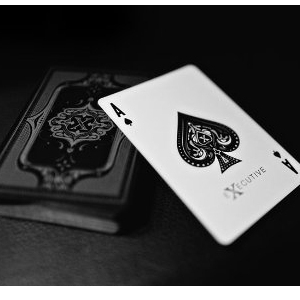 Stylized Ace, Jokers and Court Cards. llustrated by Simon Frouws in South Africa. 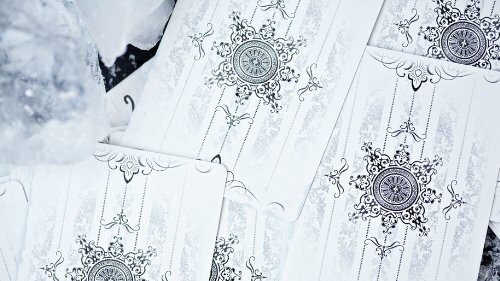 The latest edition of our critically acclaimed Artisan Playing Cards: The White Edition. 6 months for USPC to wrap their heads around all the foil on this box. 8 months in the making.